For centuries the Arab, Chinese, Dutch, Italian, British and Portuguese traders have followed the sea route to Kerala and have left an indelible impression on the history and culture of the region. This illustrious history has resulted in a unique blend of art, architecture and cuisine in the region. Nowhere is this more evident and in full display than the charming town of Kochi. For centuries the Arab, Chinese, Dutch, Italian, British and Portuguese traders have followed the sea route to Kerala and have left an indelible impression on the history and culture of the region. This illustrious history has resulted in a unique blend of art, architecture and cuisine in the region. Nowhere is this more evident and in full display than the charming town of Kochi. Spice trade made Kochi the gateway to old India; it was from here that colonization of India started. Today people flock to Kochi to experience the rich heritage and make it their base for travel to the rest of Kerala. 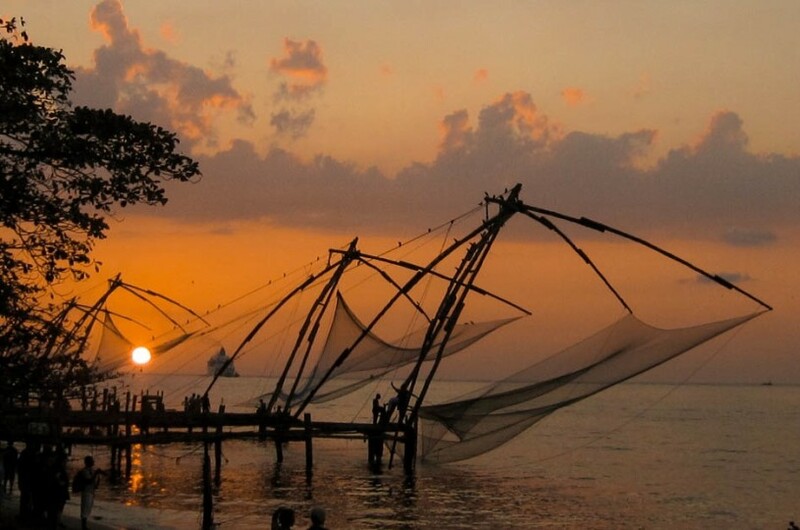 Most of the sightseeing is centered around the Fort Kochi and Mattancherry areas, both of which are located on an Island south west of mainland Kochi. For convenience most travellers choose to stay in the area, which offers variety of accommodation options from boutique heritage hotels to simple homestays. Start with the Dutch Palace in Mattancherry area. The palace was originally built by the Portuguese as a present to the Raja of Cochin around 1555 to appease him after they plundered a nearby temple. The Dutch carried out an extensive renovation, hence the origin of its name. The palace has an interesting blend of Malabar, Dutch and Portuguese styles. At the Palace, watch out for beautiful murals on the walls portraying scenes from great Indian epics Ramayana and Mahabharata. Just down the road from the palace is the Jew town. The main street through Jew town is lined with antique and craft shops. These shops sell colonial era pieces, items from the traditional Jewish homes of the area and variety of Indian sculptures, art and souvenirs. If you want to buy anything then bargain hard! Another attraction here are the spice auction houses, which were first established by Jewish traders residing in the area. Once you have your fill of shopping head to the Paradesi Synagogue. Cochin Jews were a prosperous trading community with special privileges accorded by the local rulers. Part of the special privilege was to build the Paradesi Synagogue on land adjacent to the palace and establish residences in the area. The Paradesi Synagogue was one of the 7 Synagogue’s built in Kochi and the surrounding areas, and the only one that is still active. Today, only few of the Cochin Jews remain, most have moved to Israel or other parts of the world. After covering Mattancherry head to Fort Kochi, where the Portuguese built their first walled citadel called Fort Immanuel. The Dutch and later the British destroyed most of the fort walls and its bastions. Today, crumbling remains of the fort can be seen along the beach. But a lot of the Portuguese, Dutch and British monuments worth seeing still remain in the area. Walk in any direction and you are guaranteed to find a heritage building or structure of some kind. Start walking west from the Chinese fishing nets along the beach, you will find remains of Fort Immanuel, including a Gunnary. Walk further south to reach the 18th century Dutch Cemetery, where prominent Europeans of the time were buried. Then walk north past parade grounds to reach the St. Francis Church, the oldest European church in India. One of the greatest European explorers, Vasco Da Gama died in Kochi on his third journey to India. He was first buried in the St. Francis Church and later his remains were moved to Portugal, today you can still see his original tombstone here. East of here is the Santa Cruz Basilica Cathedral, one of the finest churches in India in terms of the architectural grandeur. The church was originally built by the Portuguese and elevated to a cathedral by Pope Paul IV in 1558. In 1984, Pope John Paul II declared it as a Basilica. One my favorite activities in Fort Kochi is walking up and down Princess Street and other parallel roads like Rose Street and Burger Street. Princess Street is one of the oldest streets in the area, with European style residences, cafés, art galleries and souvenir shops on both its sides to keep you occupied. In the evenings before sunset head to the Chinese Fishing Nets, the huge cantilevered fishing nets that droop towards the waters like over-sized hammocks. They are believed to have been introduced in Kochi by a Chinese explorer Zheng He. It takes upto 4 fisherman to operate the nets with a complex system of pulleys, ropes and stones. At Fort Kochi you could pay the fisherman to see them operate the nets, you can even buy the fresh catch and have it cooked right there. Every evening at 5.30 PM, Greenix Village organizes traditional folk art performances. The first show usually is Kathakali, the principal classical dance form of Kerala where characters use highly sophisticated hand gestures along with eloquent facial expressions to convey the story. Vocals and percussion as a background accompany the performance. The show starts with a demonstration and explanation in English, followed by a performance of a scene from Indian mythology. If you arrive early then you can watch the artists put on makeup, which is an elaborate process that takes more than an hour. Tickets are available at the venue and seating is based on first come basis. You also have option of staying on after Kathakali to see performances of other art forms such as Theyyam and Mohiniyattam. To enjoy a more authentic experience of these art forms you will have to head to schools that teach them. For instance, you may try the Kalaripayattu show organized at a traditional Kalari school in the suburbs of Kochi, a signature Travspire experience. 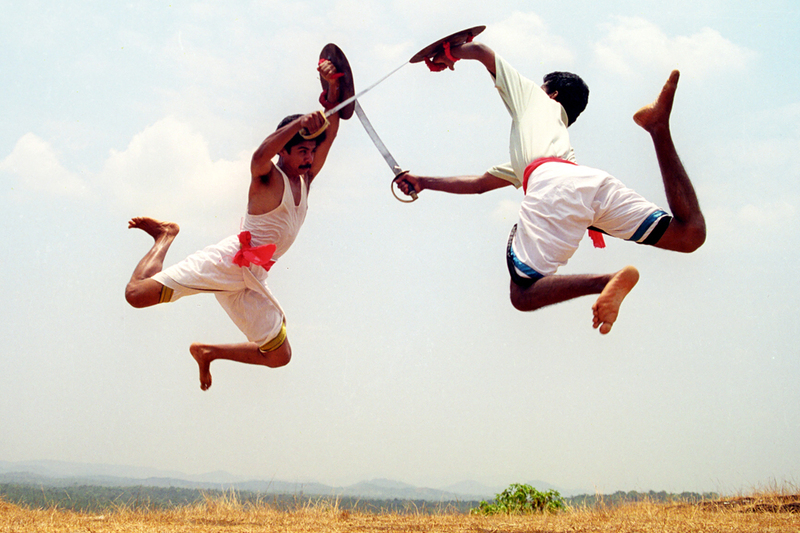 Kalaripayattu is ancient martial art form that originated in Kerala. The Kalaripayattu duels are fought using swords, sticks, spears, daggers and a whip like sword called Urumi. During the demonstration one can watch up to 6 fighters use more than 27 different weapons. A visit to Kerala would be incomplete without experiencing some of its finest cuisine, which is characterized by the generous use of spices and coconut. And what better way to experience the cuisine than in a cooking class set in your host’s house? 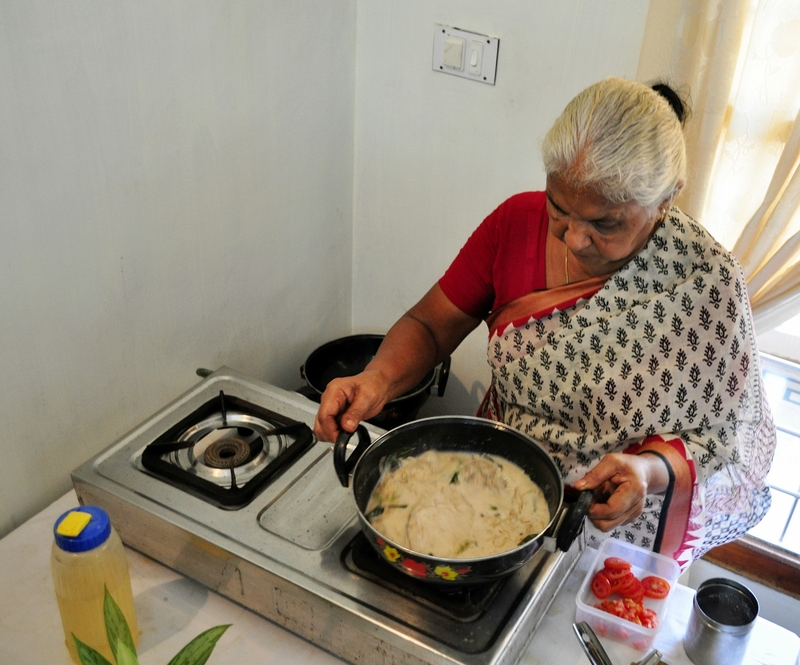 There are plenty of homestays in Fort Kochi that conduct daily cooking classes such as Leelu home or Maria’s at Monte Carlo guest house. If you want an offbeat cooking experience then you could try Travspire‘s Home Cooking and Market visit experience. Here you start with a guided visit to local market and then go to suburbs of Kochi to a charming house on backwaters for cooking lessons. Toddy is the beverage extracted from the sap of the coconut tree. Freshly extracted toddy is sweet in taste and is called madhura kallu (sweet toddy). On fermentation, the sap will taste sour and turn alcoholic. Toddy is a very popular drink amongst the locals and is served along with lip smacking food at the Toddy shops. Toddy shops are often furnished with wooden benches and tables and the liquor is served in plastic mugs or glass bottles. Malayalam film songs or music from the radio is played in most places. Rice, mashed tapioca and fish curry, crab curry, mussels fry, Pearl Spot baked in banana leaf, duck roast, spicy pickles and various delicious meat preparations are available in most of the toddy shops. A hot, spicy dish in combination with the sweet, sour Toddy is simply DELICIOUS! However, if you have a sensitive stomach or cannot tolerate spice then avoid eating here. You are taking a risk trying the food and toddy here – for many it is well worth it. You have to make that choice for yourself! How do you find a toddy shop? You’ll have to venture outside Fort Kochi. There are few on Vypin Island, north of Fort Kochi, or you can go south towards the backwaters for about 10 -12 kms, and once you are in the backwaters just ask a local. 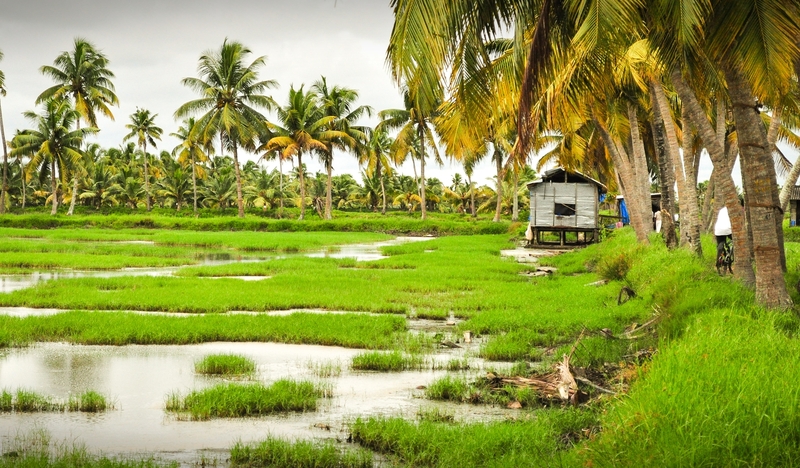 Alternately go on a Travspire backwater experience where you can visit a toddy shop! Before Kochi became a big center of trade, the central trading area was an ancient port in the north – known as Muziris by the Romans and referred to as Muccheri in ancient Tamil Sangam literature – before a massive flood of the river Periyar in 1341AD. On your visit to Muziris, be sure to visit the Cheraman Juma Masjid, the first mosque built in India around 629 AD, and St. Thomas Church, the first church built in the area in 52 AD. The first converts to Christianity were mainly Jews who had first arrived around 500 BC. There were several other Jewish migrations to the area in the following millennia, during which several synagogues such as the Paravoor Synagogue were built. Additionally, there is a 2000 year old Shiva temple and ancient Bhagvathy temple in the area. If you are a history buff, this area has plenty to offer. You can visit Kodungallur, which is just a 40 minute ride from Kochi, from which you can cross the river on a boat jetty to Vypin island. The best way to see the area is through an auto rickshaw! Set aside half a day or full day to see this area. Alternately you can get in touch with Travspire to organize a guided tour of the area with a knowledgeable local, and if you’re interested in interacting with a few of the remaining Jewish families this can be arranged. If you are a person who likes to be active on a holiday then Kochi has options for you too! Day trips for cycling, kayaking and forest hiking can be arranged from Kochi. 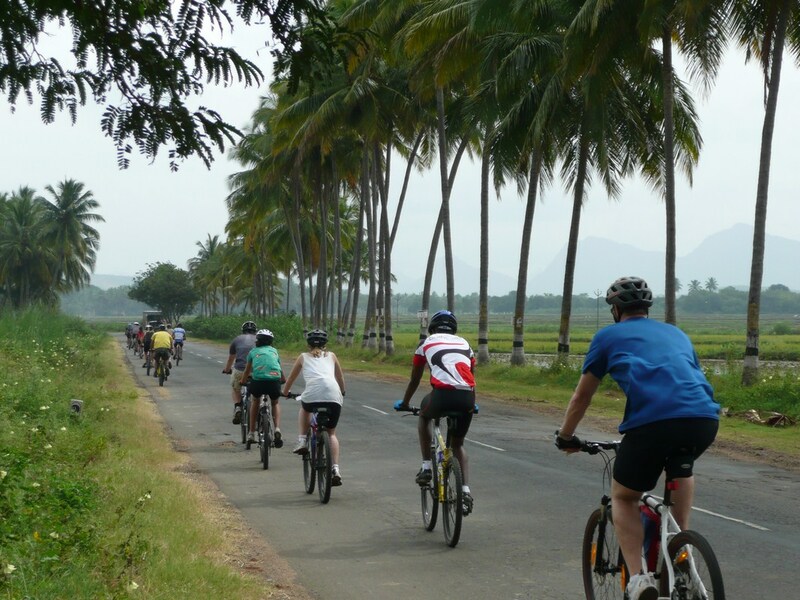 If you want to do something on your own then hire bicycles and ride on beach road going south from Fort Kochi – the route takes you through fishing villages, paddy fields and small towns. The Fort House restaurant is a great seafood place with stunning views of the Harbor at night. If you want to enjoy a quiet dinner where the only noise you hear is of waves in the ocean then this is a great place for you. If you want to have a fine dining experience in an exotic setting, say with a live music performance then the Malabar Escape restaurant comes to mind. If you want to try simply the best Syrian Christian food served in Kochi then head to Oceanos restaurant, keep in mind that they do not serve alcohol. Visit Seagull restaurant and bar for a inexpensive dive bar scene – the food is spicy and goes well with the drinks! For mid-day meals, snacks or breakfast hit up one the many cafes on Princess, Burgher and Rose streets. Kashi Art Cafe has a delicious breakfast menu with fresh juices and great coffee.